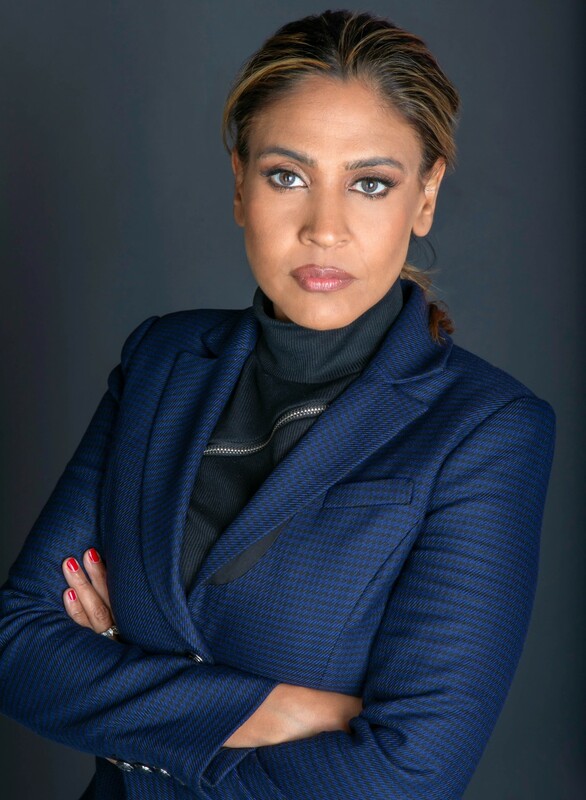 Meet Dr. Geeta Fisker co-founder, president & CFO of Fisker Inc.
Meet Dr. Geeta Fisker co-founder, president & CFO of Fisker Inc. a California-based company, revolutionizing the automotive industry by developing the most emotionally desirable electric vehicles. A scientist, investor, entrepreneur, philanthropist, mom, and wife. A woman who loves technology, finance and solving problems. 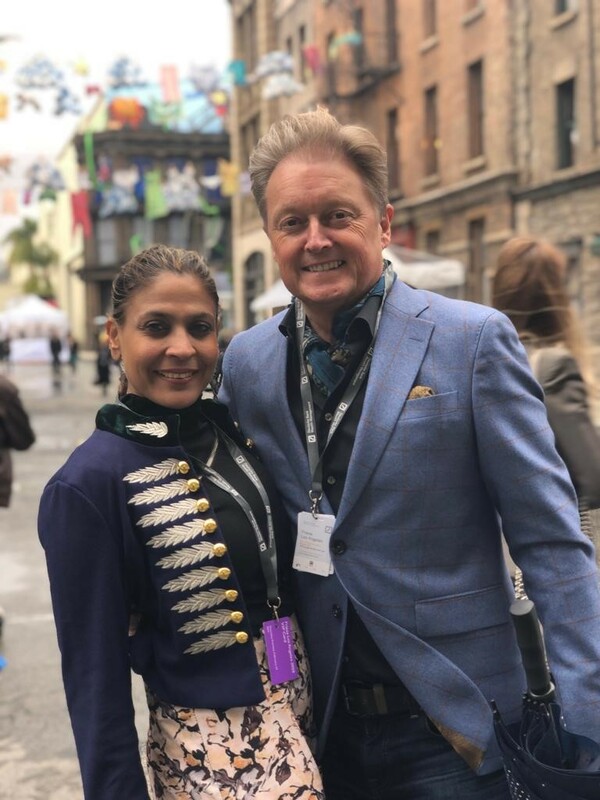 My name is Dr. Geeta Gupta-Fisker – co-founder, president & CFO – Fisker Inc. Above all, I am wife to a man that inspires me every day, and a mom to two amazing children. With regards to business, I bring an unparalleled skill-set: a unique technical and financial academic background, global black book of business contacts; in-depth experience in equity, debt and structured finance; and a sophisticated financial engineering acumen. I enjoy engaging in complex deal negotiations and closing those deals for a win-win. And I have a passion for exploring innovative business models, and disruptive technologies. I have had the opportunity to study, live and work across three different continents. Starting with a tough, humble childhood in India, I pursued my education and career in United Kingdom – eventually landing in the US and co-founding Fisker Inc. Throughout my life journey, I have been fighting the odds – overcoming gender, ethnic and age bias. These experiences have shaped me into who I am. My Buddhist upbringing and the support I received from my mentors, taught me the karmic values of being part of community and giving back – supporting initiatives for children, women, healthcare, education, economic development and community. Overall, I’d classify myself as a scientist, turned investor, turned entrepreneur. I love technology, finance and solving problems – and I’ve always had a knack for numbers. Even when working toward my PhD in biotechnology, I would sit on my research bench and dream of starting a business or playing an integral role in a business. I then took that dream and took action – co-founding a small biotech start-up to begin to pursue my dreams of entrepreneurship. It was a bug I could not shake. You were born in India, you come from a tough, humble childhood there, tell us more about your family, how was Geeta as a kid? I grew up in a middle-class, business-focused family in India, where my father worked tirelessly – all hours of the day. He was working from the moment that I woke up, all the way to the moment that I went to bed. Our family dinners were like board meetings: We talked about news, politics, business and potential opportunities. I loved numbers and helping my father with mundane tasks in the business. I think that’s where I developed my drive and ambition. You have a Bachelor´s degree in zoology in India, why did you decide to study that? Growing up in India, we didn’t have many choices when it came to academic areas of focus or interest. I was fascinated by life sciences and human biology – and the closest to that, excluding medicine, was a degree in life sciences/zoology. How did you jump from being an expert in animal biology to that point of earning a doctoral and postdoctoral fellowship in biotechnology at the University of Cambridge in the United Kingdom? My Bachelor’s degree built a foundation of the basics around life sciences – which included human biology, animal sciences, plant sciences and chemistry. These are the building blocks of biotechnology. As I was getting closer to graduation, one of my professors suggested I explore advanced research in biotechnology, which was a new field at the time. It was where new forms of drugs and products were being developed. This was the era in which companies like Amgen and Genentech were starting a revolution in Silicon Valley. I spent months reading about various biotech companies and how the field combined biological, plant, chemical and physical sciences to better human health. I was so fascinated by the topic that I wrote an article about biotechnology and submitted it to The Hindustan Times, one of the largest newspapers in India, to publish. They refused, as I was too young and did not have professional experience attached to my name. I ended up using the essay during the application process for my master’s degree in biotechnology. The British Consulate in New Delhi has an annual fair, where several universities visit and showcase their programs. It was something I had never experienced before. I applied to several universities and was accepted into quite a few. But I really liked the courses and curriculum offered by the University of Kent. The first time I actually flew on a plane was when I flew from Delhi to London to start my degree in September 1996. The year at Kent was a real eye opener for me. I had never lived away from home. I had access to the internet and “Netscape Navigator” for the very first time – and I got my first cell phone: a Nokia. Fast forward: As I was completing my degree, I wanted to specialize in the area of biopharmaceuticals. I wrote to more than 100 Universities to explore their PhD programs or for a potential research role. Since I required a student visa or sponsorship, I only heard back from one university for an interview: The Department of Biotechnology at the University of Cambridge. Making that choice was easy, as I had no other offers! Cambridge was a great experience: You could throw a stone and it would land on the head of a PhD. The likes of Prof Steven Hawking were around at times. Watson & Crick discovered DNA structure in the building where I did my PhD research, and at least once a week, it was common to sit next to a Nobel Laureate or someone nominated for the Nobel. It was a surreal experience for someone like me, who came from such a modest upbringing. You had several jobs in finance companies as Lloyds Banking Group, Consensus Business Group (CBG) etc. You led investments in technology, biotechnology, cleantech, and homeland security, consulting family foundations etc. How did you end up working in finance? I have always loved numbers and really excelled in math. I always had a passion for business, but science truly fascinated me. This eventually lead me to study biotech at Cambridge in the UK, which is essentially the Silicon Valley of the UK (buzzing with biotech companies, VCs and start-ups). During my PhD years I got involved in a university society called “Biology in Business.” I ultimately ended up running it and steered it to invite leading entrepreneurs, academics and venture capitalists to come and speak to university students, followed by networking opportunities. A major force that drove my entrepreneurial spirit was my supervisor Prof Chris Lowe, who also ran the Department of Biotechnology. Chris is a brilliant academic and his topics spanned security holograms, acoustic diagnostic technologies, biopharmaceutical production and purification/medical diagnostics. He had also spun out several companies and was one of the most entrepreneurial academics I’d encountered. His first company went public and I remember that he bought a Porsche 911 with his first proceeds. This was my first introduction to the subconscious elements of emotional automotive design. It was then that I began to understand why Chris was so proud of his 911. He was always full of ideas. He eventually inspired me to achieve more and involved me in his entrepreneurial endeavors. During my studies, Chris came up with the idea to spin out my research work into a company called Purely Proteins. He asked me to write the initial business plan by teaming up with an industry professional. I was 25 years old, creating great science, writing business plans, meeting investors, pitching science and doing what I had always dreamt of. It was shortly after that I decided to pursue post-doctoral studies to enhance my scientific skills. Another major influence at Cambridge was a visionary named Hermann Hauser, who created the BBC Micro computer, associated with ARM holdings and Amadeus Capital. I met Hermann through Biology in Business and asked if I could intern with him on his investments. He agreed and I spent a few months interning at Amadeus, with a focus on med-tech investment, exposing me to venture capital for the first time. During my postdoc stage, I was approached by Lloyds Banking Group, who were looking for a scientist with a business acumen to join the technology team: Someone who would understand science and technology but could transition to also reading balance sheets. I took several accounting courses and spent time with veteran bankers to learn about equity and debt finance. At about three years at Lloyds, I was itching to join an exciting investment group. I got a call from a friend who knew of a family office looking to recruit an investment professional with a background in life sciences. I went to the interview and requested that the CEO let me attend one of their investment committee meetings to see how the business operated. During the investment committee meeting, I met with the principal of the family office, Vincent Tchenguiz, who was a visionary billionaire real estate mogul turned major venture investor. I loved the international portfolio, the diversity of investments and the direct access to the principal. Vincent and I connected from the first meeting, and we are still friends today. Vincent is a genius at financial engineering, having built a multi billion real estate business in the UK. I spent five years learning from Vincent and mastering the art of debt, equity, structured finance and securitization. I was managing a multinational, complex investment portfolio, structuring debt and equity deals, buying and selling companies and networking with prominent names in finance. In short, I networked and developed a strong black book of prominent contacts across finance world and learned how to structure and close deals. "Failure and plan B have never been an option for me. Success in a country of over a billion people simply boils down to persistence, hard work and a never give up attitude". What motivated you to found your own company Fisker Inc.? what was your vision? I’ve always had an entrepreneurial bug stemming from my upbringing, my entrepreneurial experiences at Cambridge and having run a family office in London. The time between 2012-2016, Henrik and I spent considerable time talking about the former company, Fisker Automotive: What was done right, the tough lessons learned and how we can do things better. We always challenge each other in our thinking with the ultimate goal of finding solutions. Since 2013 we have owned all our businesses together and ended up becoming business partners in a very natural way. It’s where where each contributes their unique capabilities to the partnership. Fast forward a bit, and in 2016 we were ready to launch the new company, Fisker Inc., on a clean sheet. We created Fisker Inc. as an e-mobility and technology company on a mission to make mass market electrification a reality globally – as well as to create next generation electrification/battery technologies to enable EVs to become more practical for the wider market (range, short charge times and more). We’ve been united in that mission, which drives us to grow, innovate and push every day to create a clean world for ourselves and our generations to come. For the people that don't know, tell us what´s Fisker Inc.? 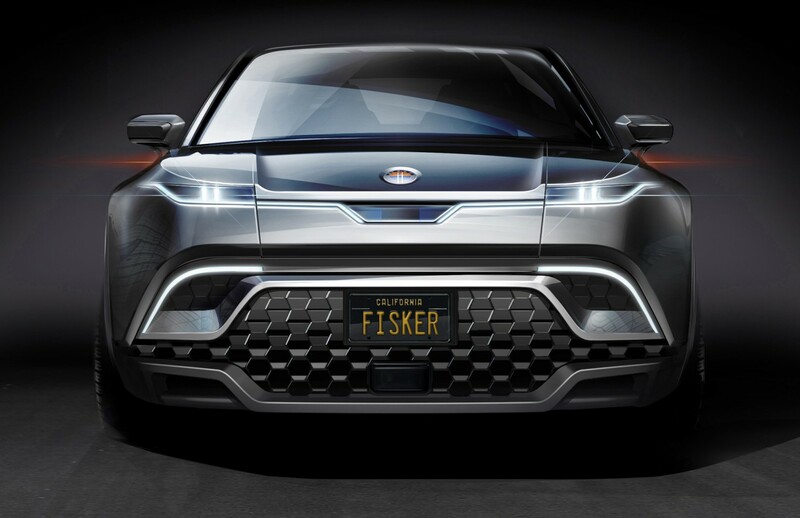 Fisker Inc is a California-based company, revolutionizing the automotive industry by developing the most emotionally desirable electric vehicles complemented with the longest range and shortest charging times on earth. 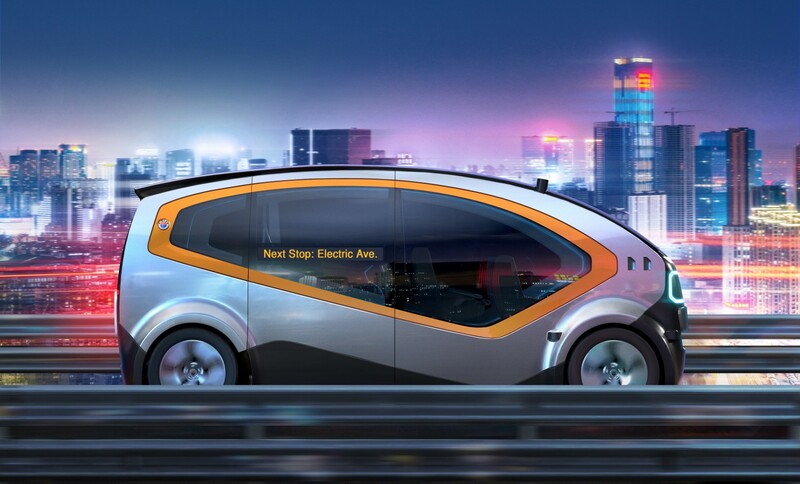 Our mission is enabling revolutionary electrification growth through affordable, relevant and exciting zero emission vehicles and disruptive electrification technologies. Our vision is a clean future, where people all over the world have equal opportunities for a healthy and happy life. You are the co-founder, president, and CFO of it, what are your main responsibilities in those positions? Most of my day is spent working on the growth and evolution of the company – from securing investors, building our various teams across the organization, including an entire team of scientists and staff devoted to moving our patented Fisker solid-state battery technology toward full commercial availability across the globe. My role also includes planning for the future capitalization of Fisker Inc. I spend a substantial amount of time on overall operations, ensuring the company is structured and runs as smoothly as a mature company, even though we are still at the start-up phase. The finance side on its own takes up quite a large amount of energy – from complex debt structures, private placements and even work on various initiatives that revolve around the possibility of the company going public at some point down the line. What is the reality of your day-to-day? I am a huge sports fanatic, so I like to start each day with a great workout. After my workout, I listen to the news and answer emails before my work day begins at 9 a.m.
My work usually involves brief meetings with updates on projects, quick decision-making and looking at numbers. Every day is driving innovation and brainstorming finance. Henrik and I love good food. We typically end up at a business dinner or cooking something healthy at home. My day usually ends before mid-night as I like to get at least 6 hours of sleep. Do you have any particular philosophy that guides your career decisions? Persistence. Persistence has helped me at every stage of my career. Coming from my tough, humble childhood in India – failure and plan B have never been an option for me. Success in a country of over a billion people simply boils down to persistence, hard work and a “never give up” attitude. Fast forward to today, and there’s been plenty of lessons learned. That’s part of being an entrepreneur, which motivates me even more. Could you share with us one strategy that has helped you grow your business? Persistence again. Keep thinking and evolving. I’m always challenging myself to avoid complacency and coming up with new solutions. When the going gets tough, tough gets going. I give 1000 percent in tough times and never give up. What is the most rewarding aspect of your positions at Fisker? It’s hard to narrow this down to one aspect of my role. There’s a great deal of excitement in working to create new technology and emotionally-appealing products that leave our customers inspired but also improve their lives. There’s also satisfaction in the chance to play an integral part in developing new products and technology that can have a profoundly positive impact on creating a clean world. I find reward in pushing our team to higher levels every day, inspiring them to achieve what they never thought was impossible, is constant motivation for myself, as well, I thrive when I’m able to motivate and inspire people – bringing light to their talents and showing them they are capable of doing a lot more than they think. What are your plans for this 2019? At a personal level, I always put my and Henrik’s health first, and working to challenge ourselves physically. As far as Fisker Inc., we have a focus to grow the business and deliver specific milestones that can publicly showcase our prototype vehicles. You have achieved a lot, what is the recipe of your success? Good health, tons of exercise, a positive attitude and persistence. No one can shoot a moving target. Keep evolving your business and developing new ideas – there’s always something to learn and room for improvement. "I am very fortunate to be married to an amazing person who respects women and supports me in my dreams and aspirations. I have a very respectful relationship with Henrik, as we both admire and recognize our individual achievements". You are married and you are the stepmom of 2 kids, how do you balance your personal and professional life? Have you had problems with your family for being a hardworking woman? if yes how did you resolve them? I have it easy. My step kids are adults and my business partner is my husband. Several people wonder how Henrik and I keep such a healthy marriage while we spend so much time together. The secret lies in our shared mission of supporting a clean world, creating the world’s most exciting company with affordable EVs and bringing our revolutionary battery technology to market. We recognize our different skill sets and how they provide individual value to our goals. We end up spending more time together than normal couples, so I have an unfair advantage to having a great marriage. How´s Geeta as a mom and as a wife? When I grew up in India, women were still tier two citizens. I am very fortunate to be married to an amazing person who respects women and supports me in my dreams and aspirations. I have a very respectful relationship with Henrik, as we both admire and recognize our individual achievements. As a stepmother, I think at times I can be tough (given my tough upbringing). I simply want the best for the kids and push them to achieve the best for themselves, as well. I love sports, cooking and watching legal thrillers. I am also a fanatic stock market trader, so I spend a lot of time reading about stocks and investing in the stock market. There is still the glass roof for women in the world: Fewer opportunities, jobs underpaid just for that fact of being a woman etc. Have you experimented the glass ceiling? if yes, What are the biggest challenges you have faced and how have you overcome them? I’ve never followed a typical career path, so I don’t have much experience with the glass ceiling with regards to a traditional corporate ladder. That said, with an entrepreneurial and financial industry-rooted career, there are always situations faced where certain deals can only be done between men. It’s an unspoken rule and frustrating at times. However, I’ve learned to capitalize on my skills at the right moments and in the right situations to overcome this barrier. I think it’s important to recognize your skills, talents and what you bring to the table – and never lose sight of your worth. You are definitely a role model: Scientific, an expert in finance, chairwoman, mom, wife. What tips can you give to young girls who want to be like you? particularly those who want to work in the automotive industry. Dream big and take risks. Dare to explore. Don't be scared to try, ask or fail. If you don't try, you will never know. I got so used to hearing “no” that the only thing I knew was to get back up and try again. That's what life is about. Its not the one “yes” that defines you, it's the nine times you hear “no” and what you take away from those experiences. "There are always situations faced where certain deals can only be done between men. It’s an unspoken rule and frustrating at times. However, I’ve learned to capitalize on my skills at the right moments and in the right situations to overcome this barrier" . You have a very tight agenda and still, you have time for supporting many foundations related to women, children, education, economic development, healthcare and sustainability issues. What does it drive you to do it? Life is about giving back, sharing and taking people with you on your journey to success. When you share the energy with people and empower people to conquer their own obstacles, it creates an energy that drives society as a whole to succeed. Happiness is achieved together, as a community. I think in your level, many people may have the wrong idea of who you really are (personally) and what do you (professionally), with this idea in mind, what is being Geeta and what's not? On the outside I am a strong, decisive person. On the inside I am a very warm, caring person with a deeply trusting and loving relationship with my husband. As a woman leader, it’s important that I keep my head high when leading my team. Something else do you want to add? I love life, complete with all its challenges. Every day is a new day and challenges are truly nothing more than experiences. Every day I embrace these challenges: Grateful that I get to wake up next to someone I love, trust, respect and admire, have a coffee and discuss how together we can make an impact on the world.